There was the sound of a woodpecker pecking, and that was a kind of knocking. And the sound of the pine trees creaking, and that was a kind of door. And so you could enter the forest, and although each moment you trespassed further became more tense, it only lasted until you could no longer see the road. 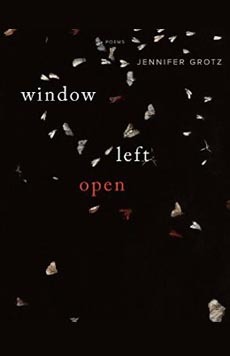 In the follow-up to Cusp and The Needle, poet Jennifer Grotz’s Window Left Open takes readers on a winding trail of tangible and intangible experiences, where elements of the natural world serve as both beacons and barometers by which Grotz measures her journey through loss and renewal. Grotz is no stranger to the literary community. Her poems have appeared in numerous journals and publications including The New Yorker, Ploughshares and Tri-Quarterly, as well as Best American Poetry. She has received grants and scholarships from the National Society of Arts and Letters, and the Oregon Arts Commission, and the Bread Loaf Writers’ Conference, where she now serves as assistant director. The long, lush lines and vivid details entice readers to leave the safety of knowing behind. With each successive poem, I found myself feeling adrift, yet confident the clearing was somewhere in the distance. Grotz accomplishes this by dividing the book into two sections: the first navigates intense emotions of loss and doubt, while the second half, with titles such as “They Come the Way Flowers Do,” “A Poem about a Peacock” and “Poppies,” bursts forth with radiance and newfound clarity. Out of synch with time: that’s a man-made loneliness. something in me to change. 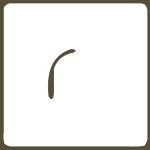 The linear progression of Window Left Open leads readers to a gratifying whole, made possible only through the author’s own transformation, something which Grotz may have known all along.